Pushing your site up on Google’s search rankings is hard work, especially if you are competing against much bigger industry players. 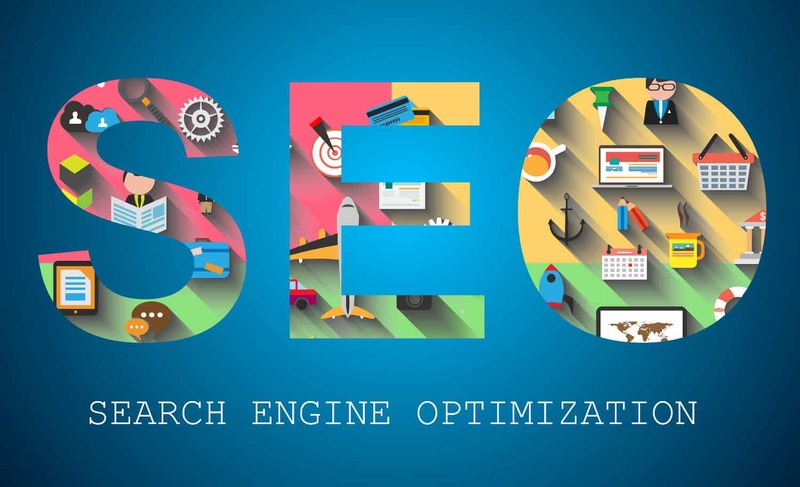 Yet, with the correct strategy and some powerful keyword research tools, it certainly is possible to make some noticeable gains in a matter of months. If you haven’t already, check out our previous post on improving your website speed before diving into the information below. A quick, responsive website which loads as fast as possible will not only serve to improve the user experience for those visiting your site, but this will have an impact on Google’s search rankings. Before you dedicate a lot of time to using keyword research tools, you should try to read around the topic of SEO as much as possible. This will give you a much better understanding of why you are doing something, as opposed to simply following a set of instructions. This guide has been read over 3 million times. It is a great starting point for anyone new to SEO and I guarantee you will learn something from it. It will also help you understand why we focus on Google in these blog posts (and not on Bing or Yahoo!). It can be difficult to understand the extent to which each item on your SEO checklist will improve the ranking of your site. How many words should I include on each page? Does an SSL certificate really make a noticeable difference? Searchmetric’s report analyses this wide variety of ranking factors, using a a vast amount of data on, and provides a (very good) estimate as to how important that factor is in increasing your search ranking position, as well as how difficult it is to implement. The 2015 report can be found here. There are some fantastic online courses, delivered by genuine SEO experts, available for very little outlay. We love Udemy as the courses offer excellent value for money and you can dip into them whenever you feel like it. Check out the reviews and the content of the course before purchasing one, as the quality does vary, but this is a great way to increase your understanding of SEO in your free time. The next step is to compile a list (perhaps start with 15) of the keywords and key phrases that you are going to target when optimising your site. It may seem easy to brainstorm a long list of words and phrases that you believe your potential customers are typing into a search box, but do you know how often these phrases are really searched, or if they are being searched for at all? Are there other similar phrases you could include which have just as many people search for them, but are a lot less competitive (and therefore easier to make some quick gains on a search engine)? This work forms the foundation of any SEO work you do so it is very important to get this right. Let’s start by writing out a list of potential key phrases that you could target. I would aim to have a list of around 60-80 at this stage, as we can then cherry-pick those to go in your final list of 15. Type in a phrase you believe you should be targeting, e.g. “London plumber”, to display a number of related phrases. Are there any in the results that you have not have thought of? Try to add the most relevant keywords and phrases to you list. Take the same approach by typing in a few central phrases into the search box and see if this tool displays any you haven’t already thought of. We like Keyword Tool because you can also display phrases from Youtube, Bing, Amazon and the App Store that may give you further ideas (though remember these phrases are not necessarily being search for on Google with such popularity). Again, type in a few phrases to Soovle and see what this displays. Unlike other keyword research tools, this uses the “auto-suggest” feature to suggest similar phrases and also gathers data from Answers.com and Wikipedia. This tool will search for Wikipedia pages and oDesk skills related to the term (and its synonyms) you enter in the search box. This may not be as useful as the other keyword research tools in this post, but it may still highlight some interesting synonyms. It sounds simple, but this is a worthwhile task. Go to google.co.uk (or the relevant version in the country in which you are targeting users) and search for the phrases you have on your list. Make a note of how competitive you perceive this phrase to be. Are there a high number of large, national brands appearing in the first few pages? Do you see a lot of ads appearing for that term? This is not scientific, but if you have a small budget (if at all) it can help you eliminate those phrases which are heavily dominated by large industry players. It is much better to secure good rankings for niche “long-tail” phrases (more specific, with fewer searches per month) than to be ranked on somewhere like page 6 for a more competitive phrase. Google’s keyword planner is a great way to narrow down your list. Simply setup an Google Adwords account (its free), then head to the “tools” tab. You can enter the phrases in bulk, one line after the other. You need to strike a balance between a phrase which has a high enough search volume to warrant targeting it, but is not so competitive that you have no realistic chance of securing a good position for the phrase. Use the “competition” metric shown in the planner to help gauge this, though use this as more of a rough guide than an absolute measure. You may be surprised by the extent to which the time of year affects different industries. The summer can often be quiet for business-to-business providers, but of course isn’t so quiet if you are in the travel industry! Some industries may be riding on a growing trend, with search volumes growing every year but others may look like they are just a fad. It is worth testing a few of your more competitive (i.e. the most searched for) phrases to see if they are impacted by seasonality. Did you know the term “wedding soup” is one of the most seasonal? Check out Google Trends. Step 3: How do you already compare? Ok, so you should now have a list of approximately 20 keywords/phrases that you feel would be good to target, based on your research above. Keep that list (and your original brainstorm) as you may want to return to it in the future. Now we need to hone this down to around 10-15 phrases which you will focus on in your SEO work. You will need to prioritise some as more important, perhaps because they are “low-hanging fruit” with high search volumes but relatively little competition, but equally it is good to have a few phrases to hand so you don’t “stuff” your site with the same 4 or 5 phrases. There are two aspects to consider at this stage: where do your competitors appear on Google’s search results for these phrases, and where do you already appear for these phrases? Obviously, if you are already appearing on page 2 or 3 for a certain phrase it should require less work to get you on to the first page than if you are on page 4 or 5, or aren’t even listed at all! Which keyword research tools will measure this? SEMrush is widely regarded as one of the best keyword research tools to analyse your competition. Interestingly, it will also provide the CPC or “cost-per-click” for the phrase you are looking to target. This number shows you, on average, how much your competitors are willing to spend to appear in Google’s paid search results for that phrase. Evidently, if they are willing to pay a lot of money to appear here then the phrase may be quite competitive as they would likely rather be channeling that money into SEO work (as this is more of a long-term “investment” than a one-off advert). It also has a “keyword difficulty” tool which, again, helps you gauge how difficult it will be to beat other companies on this phrase. SEMrush will display a list of search results for that phrase. Why not play around with these tools? If you go to domain analytics and then to “competitors” you can enter your website address to see which keywords and phrases you are already competing for, as well as the keywords you are listed in the top 100 of Google’s search results at that time. SERP stands for “search engine ranking position”. The number “22” would show you are the 22nd result to appear in Google’s non-paid results for that term and therefore the 2nd result on the third page (as each page displays 10 results). This handy keyword research tool will check where you (or your competitors) are already positioned for each phrase you want to target. The best part is that you can create a free account, which will continually monitor your position for a list of phrases. This is a great way to keep track of your list. See which phrases you are already increasing your position for and which you need to put more work into. Remember, SEO is a long-term game and it can take several months (not weeks) to see any noticeable gain in your positions, if at all. View it is an upfront investment to eventually gain lots of FREE, relevant traffic to your website. Need a hand writing SEO-friendly content?